Southpark Seafood, which has been a Portland staple for 18 years is undergoing a complete revamp. In 2015 Southpark Seafood in Portland adopted a new menu with small portions, encouraging sharing, to give guests the opportunity to try multiple items on the menu, without switching to a tapas style theme. 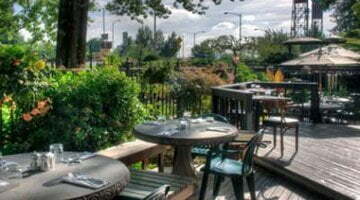 Now they are continuing to transition away from fine dining with a complete remodel. The restaurant plans to remain open during the construction. 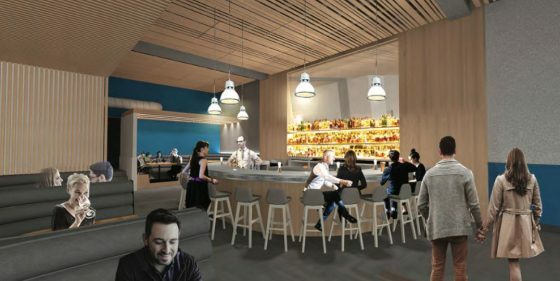 The Southpark Seafood bar will metamorphose from a “wine bar and cafe” into a more contemporary setting with a larger variety of local beer, cider, liquor and wine. 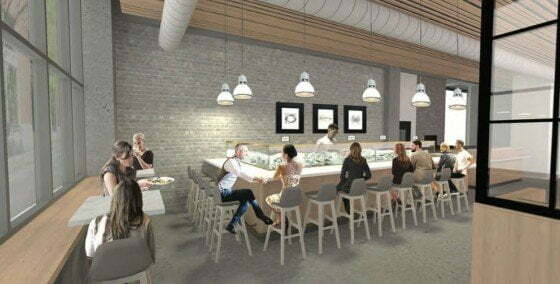 The new facade will be completely redesigned, featuring a raw bar including 12 oyster selections; currently the most in Portland. The new seating will give diners an opportunity to sit up close and personal with the person preparing it. Category: Portland Food and Restaurant News and Discussion. Related posts about Southpark Seafood Grill. What sadness and madness to loose the beauty, character, and European ambiance of the wine bar. These renderings look like an airport lounge. Totally soulless, nothing memorable, and could be anywhere. We love South Park the way it is now. We eat there often. The re-do looks cold and uninviting. Why? Architectural renderings often look cold like this. I say we check it out when they finish the remodel. I think that this is exciting! I love Southpark and think it will be fun to see how they update the place. I trust them with the food, so I definitely trust them with the look of the restaurant.